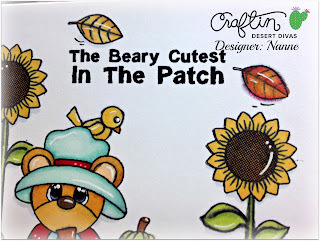 It's Nanné here today to share a cute little fall themed card I created using some of the amazing stamps from the Craftin Desert Diva's store.. 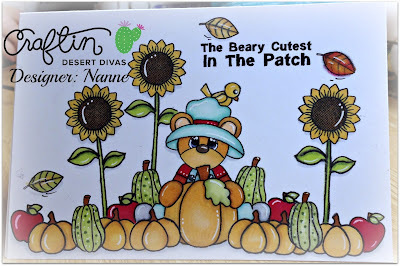 I am a fall nut and so I love everything that comes with Autumn.. 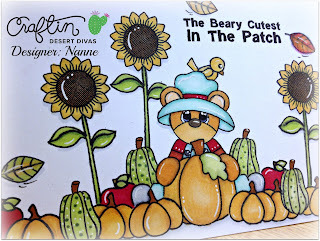 The colors, the pumpkins, sunflowers.. oh my!! :) This guy was so much fun to color.. 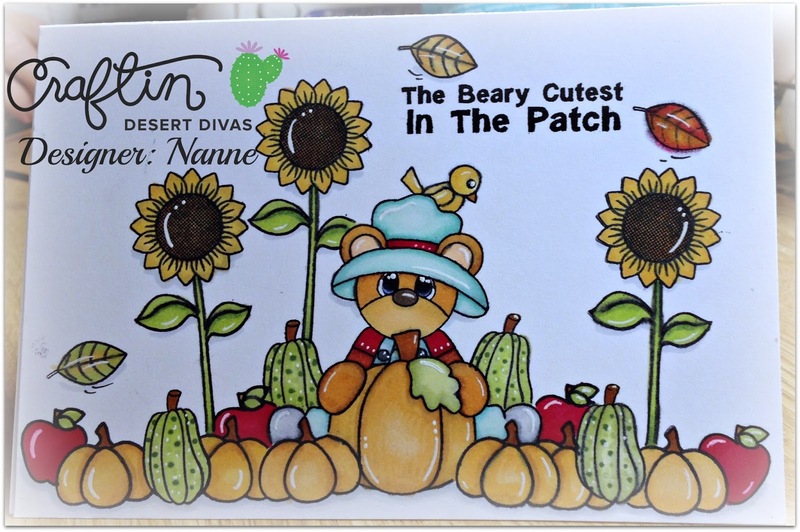 I loved adding a few falling leaves, just a little detail underneath with a fine tip black marker..
That sentiment, I thought it would great for any kind of a card.. 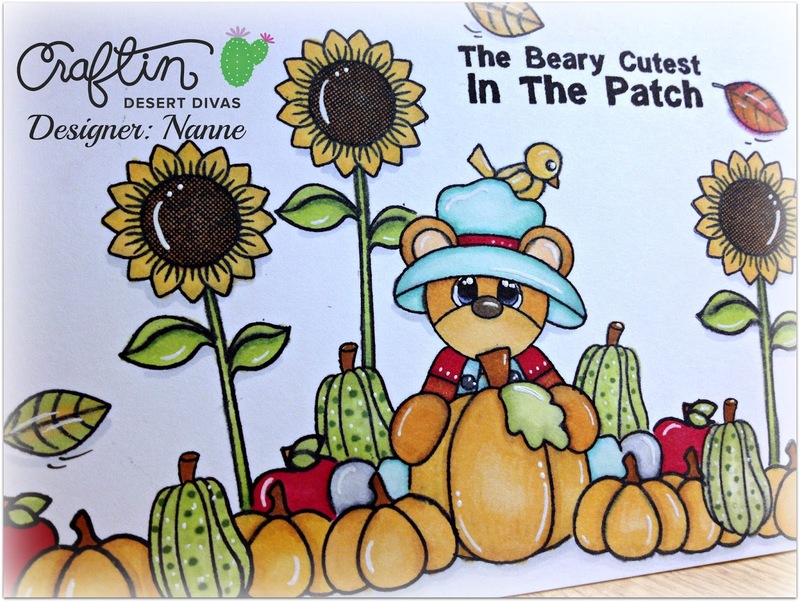 The pumpkins I colored using different tones of yellow, tan and brown..
and finally a little highlights using a white gel pen.. Thank you for stopping by today and checking out my cute little beary thankful card..